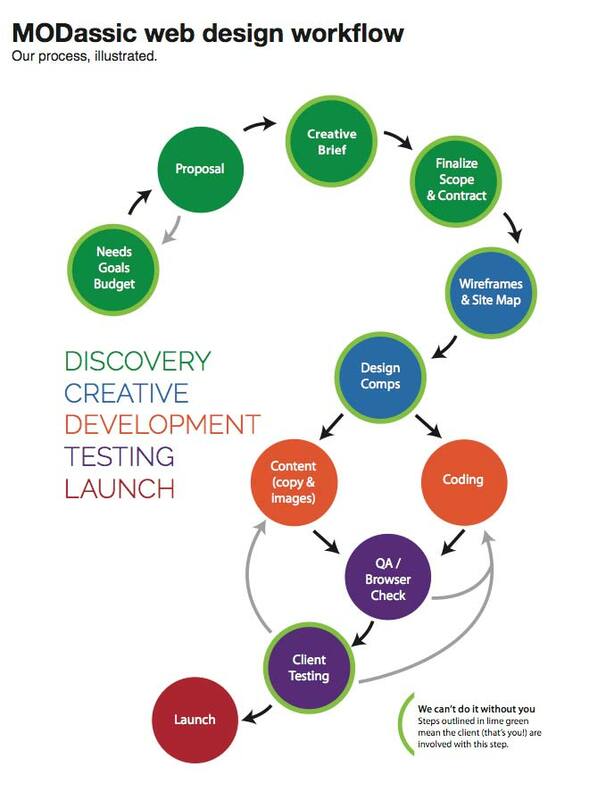 We put together this web design workflow chart to help communicate the process of building a website to our clients. This simple document has been extremely helpful in illustrating some very important details about the process and client involvement. For those clients who have never been involved in a site design, it serves as helpful road map that helps grasp what they may feel is an overwhelming project. For other clients, it raises awareness of the importance of their role in the process.